Thanks to my friends at Uprinting, I am able to giveaway a Rolled Canvas Print. Turn your most precious moments into masterpieces! Get that artist’s feel and transform your favorite photos or work into canvas art. These thick and high-quality canvas prints are ultra durable and will last a long time. Uprinting.com is an online printing company. Visit their website and find various printing services like business cards, canvas printing and many other useful items. Restriction: Limited to *US residents 18 years old and above only. You must be 18yrs or older to enter and have not won a prize from uprinting in the last 6 months. + 1 leave a comment with your email so I can contact you if you win. +1 Follow me via GFC. 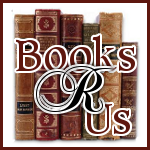 +1 Follow Books R Us on Twitter. +1 Like Uprinting on Facebook. Contest ends on 9/13 at 11:59pm Eastern. Disclaimer:This canvas printing giveaway is sponsored by UPrinting, no monetary compensation was given for hosting. Email is in blogger profile. I like you on Facebook, Cortney S.
I like Uprinting on Facebook. Cortney S.
What a great gift this would make! Thanks for the giveaway. I am a Facebook follower of Books R Us (Colleen Turner). Thank you for the chance to win the rolled canvas prize. I'm already trying to figure out which picture would go best. Thanks for hosting such a awesome giveaway! I like Uprinting on facebook. I have a favorite picture that I could use. I Follow you via GFC as nightowl.